As backyard chicken keepers, we don't buy a lot of eggs from the store, so it's normal to have some egg carton code confusion. 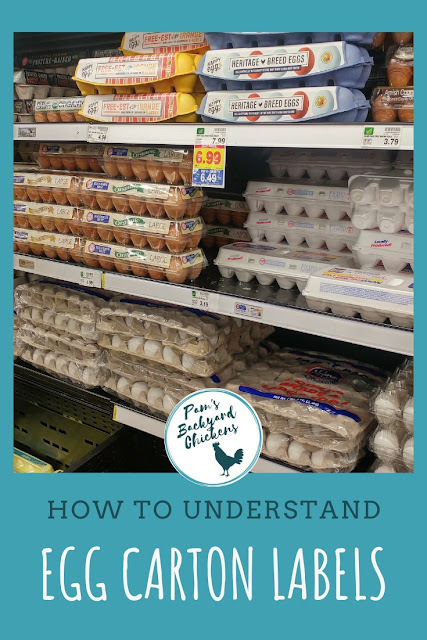 The egg carton section of the grocery is usually foreign territory and we find ourselves there only if the flock is molting or winter's waning daylight has left us eggless. But honestly, even for a family that doesn't have backyard chickens, those cartons can be a nightmare to decode. Do you go with the 99 cent special? 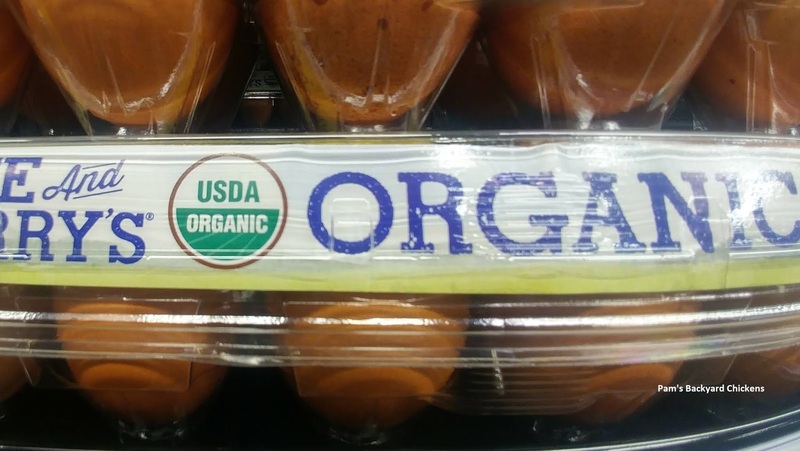 Are those organic eggs worth the price? Is free-range really free range? What's an extra large egg versus a large egg? When were the eggs actually laid? The first thing to realize is that store-bought eggs are never going to taste like your fresh-out-of-the-coop eggs. They’re older. Their bloom has been washed off, they've been packaged, shipped and set on a shelf. There’s no way to change those facts. The key to buying a carton of eggs and peace of mind is knowing how mass-produced eggs are handled and labeled and exactly what those egg carton codes mean. The guidelines for egg processing are meant to keep the eggs as clean as possible and reduce foodborne illness. Egg grading basically tells us about the quality of the interior and exterior of an egg. This is done by visual inspection from the outside and candling — holding an egg over a light source — to better see inside the egg. 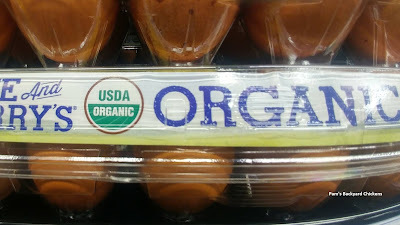 The USDA (United States Department of Agriculture) has three egg grades. Note: Some producers choose to use the voluntary USDA grading service. Others choose to use their state agencies. 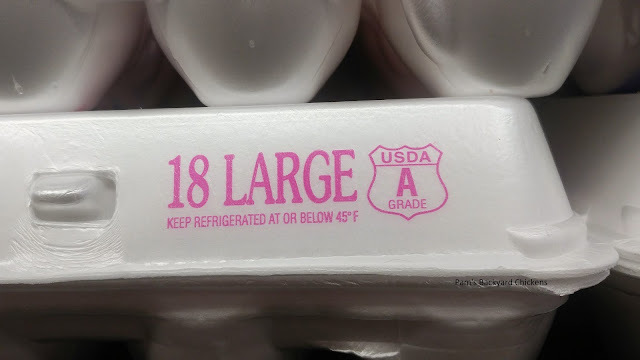 Those cartons of eggs will be marked with a grade, but not the USDA seal. Most people assume egg sizing tells you the size of each individual egg in a carton of eggs. This is not true. Look closely at the eggs inside your carton. You’ll see different sizes inside. According to the USDA, egg size is really about weight. It tells you the minimum required net weight per dozen eggs. 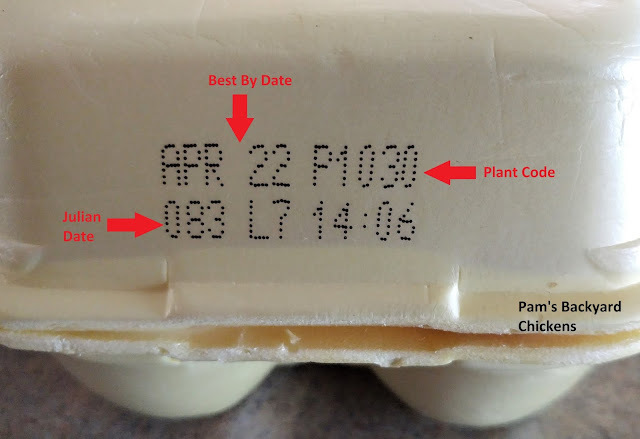 USDA-graded eggs show the date of packaging, a processing plant number and usually an expiration or best by date. The processing plant code starts with a “P” and is followed by four numbers. 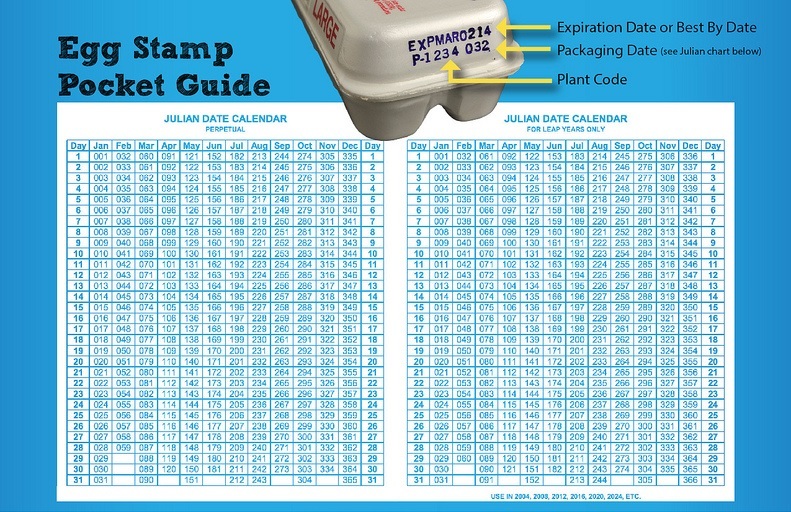 You can find where the plant listed on your carton is located, there is a plant finder for eggs with USDA grading. You just enter the four-digit code and you’ll have the information you need. A Julian date represents the dates of the year and tells you when the eggs in that carton were packaged. Find the three-digit code on your egg carton. It numerically and consecutively tells you what day of the year the eggs in that carton were packed. So January 1 is 001 and December 31 is 365. According to the USDA, you can safely store eggs four to five weeks beyond that date. This carton of eggs was packaged in plant 1030 located in North Manchester, Indiana on March 24. It is best used by April 22. Egg cartons are full of marketing labels and they can be confusing and controversial. Some are marketing buzzwords and have no real meaning. Others can be researched and proven. For companies with proper certifications, their wording may be highlighting attributes that are found in their certification itself. This is a list of typically used labels, but it is by no means exhaustive. If you find something that you are not familiar with, it’s always best to look it up. Free-Range — Chickens don’t live in cages. They have some access to the outdoors. The word "access" is something to watch. Access doesn't always mean they can go outdoors. Sometimes this is just a small door in a huge barn. 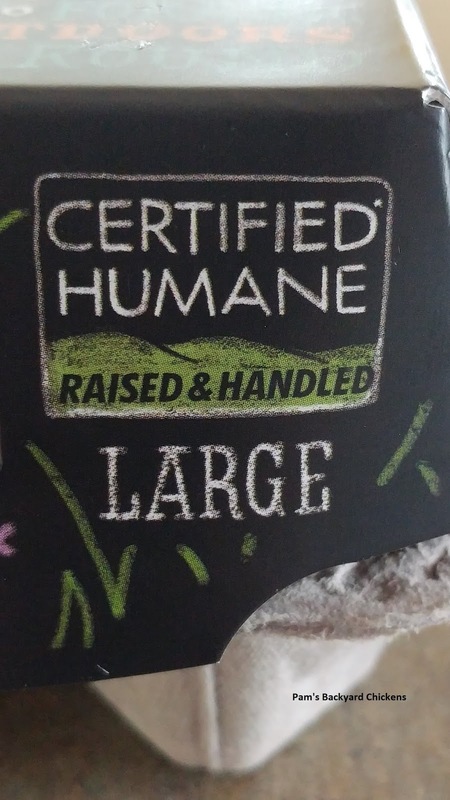 There is no official certification for this designation unless another designation like USDA Organic or Humane Certified is listed. In that case, the company is marketing the attributes of its certification. 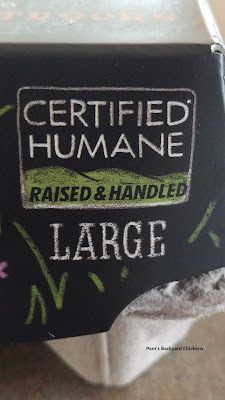 American Humane Certified — Third-party farm animal welfare certification. Eggs are produced on farms that follow science-based animal well-being standards for a cage-free, enriched colony and free-range/pasture environments. 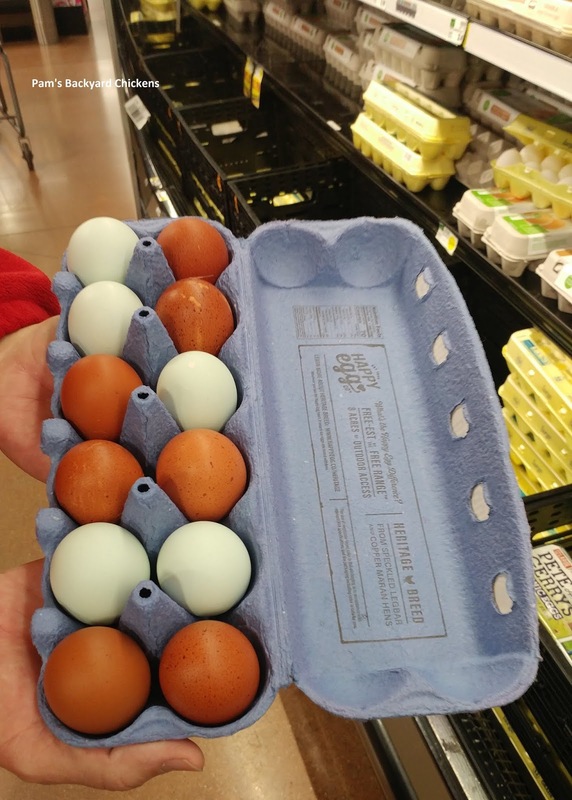 Brown/Blue/Green Eggs — This indicates the color of the eggs inside the carton. Eggshell color does not affect the taste or nutritional value of an egg. Do you get confused by egg carton labels at the store? What's most important to you when buying eggs — price, quality of life, freshness?